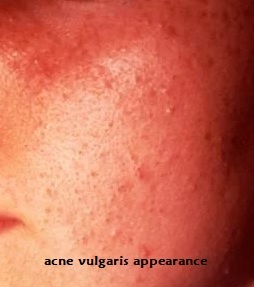 www.acneadvices.com - This article will discuss about acne vulgaris. The discussion will be limited to definition, epidemiology, the difference between acne and acne vulgaris, and the difference between acne vulgaris and acne rosacea. Let's take a look. 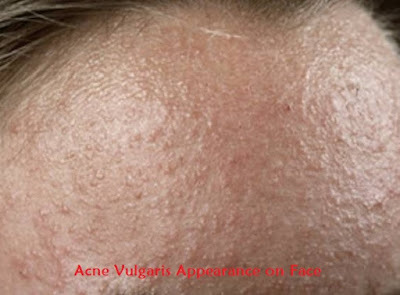 What is acne vulgaris? Maybe you often hear this term. So, what does acne vulgaris mean? Let's discuss! Acne vulgaris is a common chronic skin disease. This disease occurs due to blockages and / or inflammation of pilosebaceous parts (hair follicles and sebaceous glands around it). This disease can arise as an inflammatory or non-inflammatory lesion, or a combination of both. This disease is found mainly in the face area, but can also appear on the back and chest. Apart from the four things above, genetic factors are also key in the pathophysiology of acne. Acne is a common skin disease. The prevalence is almost 100% in adolescence. As many as 60% of teens who get mild acne choose to treat the disease themselves without consulting a doctor. The remaining 40% chose to use medical services. 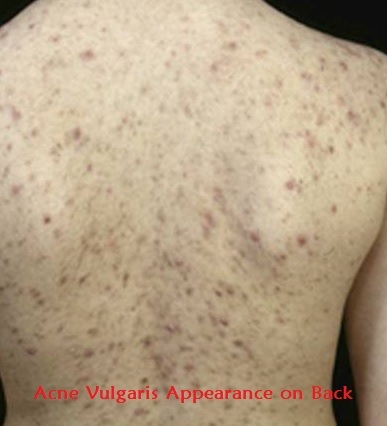 Class I or II acne vulgaris that occurs in adolescents is usually not difficult to treat. However, it is different from grade III and IV acne vulgaris. At this level, acne is more severe. Acne is widespread and can result in the appearance of acute lesions, both shallow and deep scarring, inflammation and infection, and emotional disturbances. Acne vulgaris is found in about 80% of Americans at some time in their lives. As many as 20% of them get severe types of acne, which can trigger complications of scarring. It also causes mental disorders that can be permanent. Some people from certain races are more susceptible to acne than others. Cystic type acne often occurs in the Mediterranean region from Spain to Iran. Acne commonly occurs in white people in North America. Pomade pimples often occur in African Americans. This is due to the high use of hair pomades. Ethnicity with darker skin has a susceptibility to postinflammatory hyperpigmentation. In adolescence, this disease is more likely to occur in men than women. Along with growth, in the adult age the opposite will occur. Acne can occur at the age of several weeks to the first month. Lesions such as neonatal cephalic pustulosis are examples. These lesions occur due to the influence of maternal hormones and the role of the adrenal glands that are not too large. However, there is no need to panic because these types of acne lesions can disappear spontaneously. Some babies also need topical therapy. Acne in adolescence generally appears related to puberty. This is the time when the gonads start working to produce and secrete more androgen hormones. Acne is not limited to teenagers. Twelve percent of women and 5% of men aged 25 have acne. At the age of 45, 5% of men and women still have acne. The ICD 10 code for acne vulgaris is L70.0. This code can be used as a medical diagnosis code for various medical needs. There are other common skin diseases that are often mistaken for acne. Although this disease is not dangerous, we must still know about the difference between acne vulgaris and acne rosacea. This is important because both of these diseases have different treatments. Proper treatment for the right disease will produce satisfactory outcomes. What is the difference between acne vulgaris and acne rosacea ? 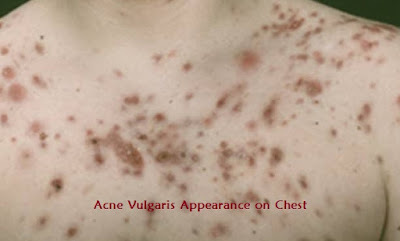 Acne vulgaris, more commonly known as acne. This is a skin condition that involves an oil gland at the base of the hair follicle. This skin disease is caused by oil and dead skin cells that clog pores. You must know that human skin consists of pores. These pores are connected to an oil gland under the skin through a small channel known as a follicle. In this follicle there is also a place to grow hair. The oil gland will produce sebum or oil. Sebum has a duty to bring dead skin cells to the skin through the follicles. When the sebum and the dead skin that it carries clogged the pores, pimples occur. Acne that occurs can be mild or develop into severe. It occurs when the blockage breaks and is infected by bacteria. Rosacea is a long-term, non-curable, common skin disease. This disease is often referred to as adult acne or rosacea acne because its appearance is similar to acne vulgaris. The use of the term adult acne is also because this type of acne is experienced by most adults around the age of about 30 to 50 years. This disease is limited to the area of ​​the face (forehead, cheeks, nose and chin). The symptoms of symptoms are redness that can develop into small red lumps and cysts that can be similar to acne vulgaris. Small blood vessels will also be seen. In this disease there are no whiteheads or blackheads like acne vulgaris. This acne has flares and remissions. This is because symptoms usually come and go. For some cases, the face may no longer show symptoms even for years. However, there are times when symptoms can recur. This disease can cause complications of ocular rosacea. The symptoms are dryness, burning and stinging, itching in the eyes. In addition, an increased sensitivity to light can also be felt. The exact cause of this disease is still unknown. Many factors influence: genetic or hereditary factors, some digestive diseases, blood vessel dilating drugs, and recent research shows that acne rosacea can be associated with immune system dysfunction. 0 Response to "Acne Vulgaris : Definition and Epidemiology"